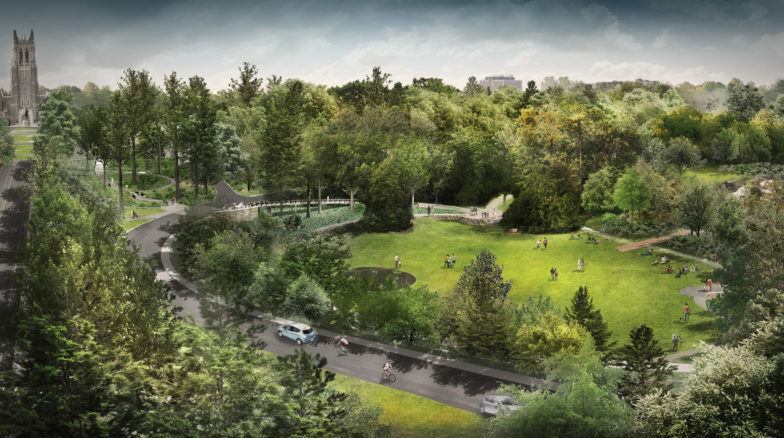 The project includes the design of a new 16,000 square foot addition to the west of the existing Doris Duke Center including a gift shop, lobby, classroom space and offices. To the north of the Doris Duke Center will be a small 2500 square foot addition to Kirby Hall. 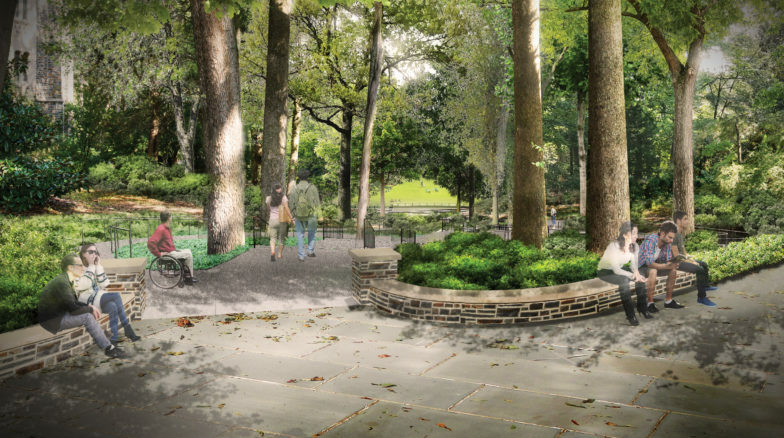 The existing parking lot to the west will be removed and be replaced with an event space and lower terrace to accommodate dining from the new café. The lower terrace will contain a water feature that will feature the existing Iris sculpture. The south-east parking lot will be expanded slightly to the west and east and reconfigured to provide a pleasantly landscaped surface parking lot. 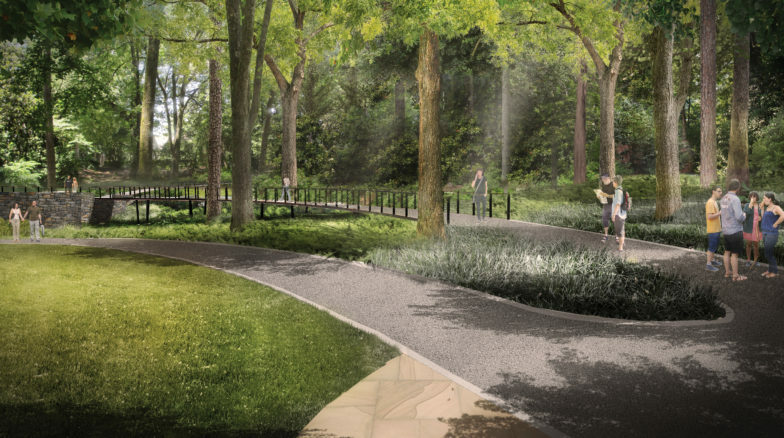 Moving from the southeast parking lot to the new lobby will be through new garden entrance featuring a stepped fountain, seating area, overlook at the Doris Duke Center, and rain garden receiving storm water from the parking lot.